Lindsay Turner was the representative that assisted with my purchase. The experience was enjoyable and relaxing, she answered all of my questions with her diverse knowledge of your products. There was no pushy sales tactics used it was more about whether you are going to be happy and satisfied with your purchase. Once I had decided on my decision, Lindsay tried as much to her ability to make me satisfied with my decision. 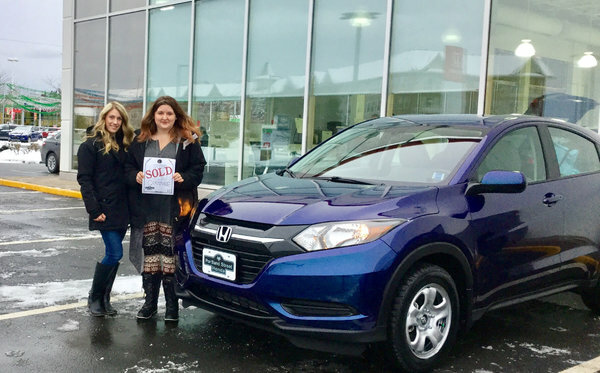 The HRV LX is a wonderful product and can sell itself. The overall atmosphere in the Portland Street Honda's environment was welcoming, especially the smells from the bistro. Overall, the experience was seamless. Thank you!! !